This easy to use Omise Payment allows you to place a Omise payment method into your EC-CUBE 2.13.3 . You have only 2 steps to start using this. Step 1: Install this plugin and then set up your plugin setting with your Omise API keys. Step 2: Click Omise Payment ( クレジットカード決済[Omise] ) to enable it in delivery input page ( 配送方法設定 ). Then customer can choose Omise Payment method on payment page. You can search charges with keyword order_id: from Omise Dashboard Global search. Works with EC-CUBE 2.13.3 . Next open your /admin/ownersstore/ with web browser and click Choose file to select plugin omise-eccube.tar.gz, and next click インストール button to start installing. Click 有効 to enable this plugin. 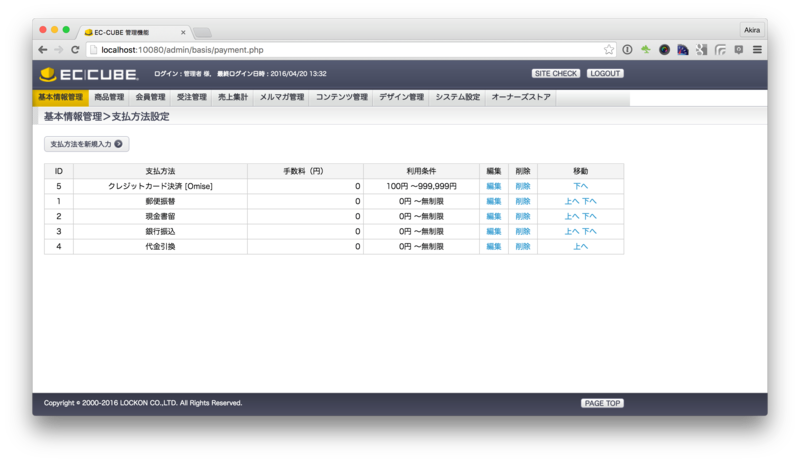 Click プラグイン設定 to open Omise Payment plugin setting window. Configure following fields with your Omise API keys. Set your LIVE Keys . If your account is still test mode, please fill with your TEST keys for now. You can change this value anytime. Set your TEST Keys . If your account is still test mode, and even you put TEST keys on Omise API keys ( LIVE ) fields please fill with your TEST keys here too. Omise APIをテストモードで実行する Use Test keys to run Omise API(s). No real transaction happen. Omise APIをライブモード（実際に課金）で実行する Use Live keys to run Omise API(s). Real transaction happen. 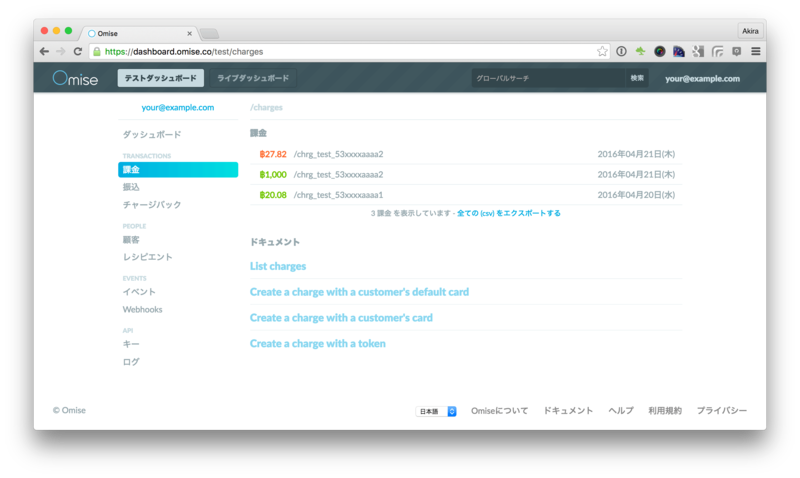 購入時に即時、実売上化する。 Charge will be captured on each order transaction happen with Omise Payment. 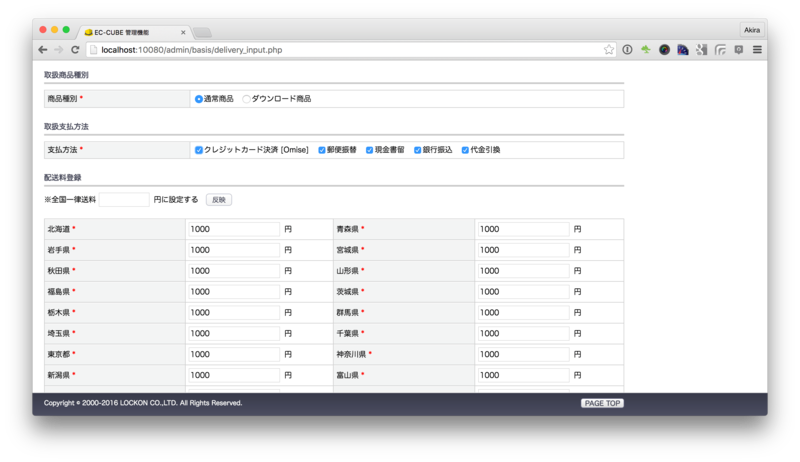 購入時に仮売上（オーソリ）を作成し、受注画面から実売上化する。 Charge will be autholized on each order transaction happen with Omise Payment. You can capture autholized charge later from admin order page. Plugin set payment method name クレジットカード決済[Omise] as default . You can change to click 設定 text link where in the same row of クレジットカード決済[Omise] in 基本情報管理＞支払い方法設定 . 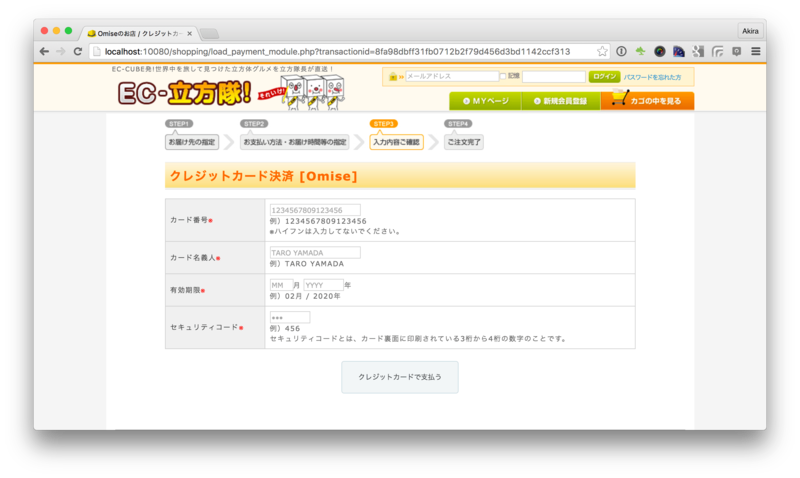 And the final step, choose 配送方法 detail page which you want to enable Omise Payment method to that group. Click on クレジットカード決済[Omise] and save this setting to enable Omise Payment method to this group. Now you finally activated your Omise Payment method on your EC-CUBE !! Beforehand, please select sandbox mode as Omise APIをテストモードで実行する . Add some item to proceed to payment page. Fill test card info to proceed check out. If your capture setting was 購入時に仮売上（オーソリ）を作成し、受注画面から実売上化する。, please open admin order page to capture an autholized charge with clicking 実売上化する button. 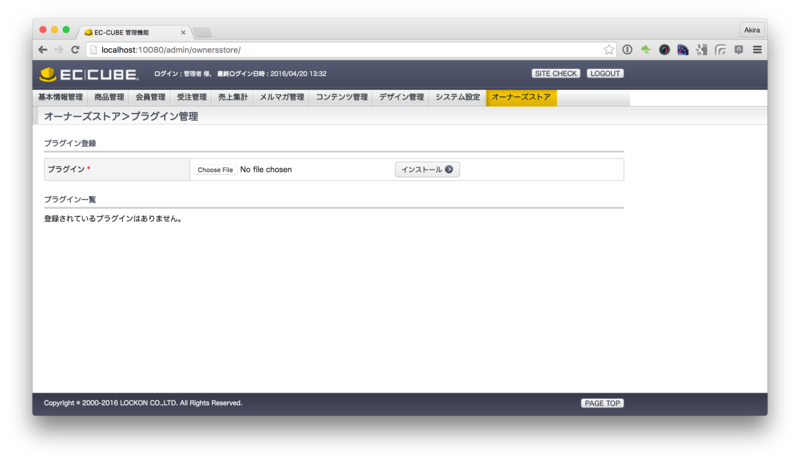 If you want to refund, also open admin order page to refund with clicking 返金する button. Plugin never genereate any log file. Omise API logs are available to see from following links.